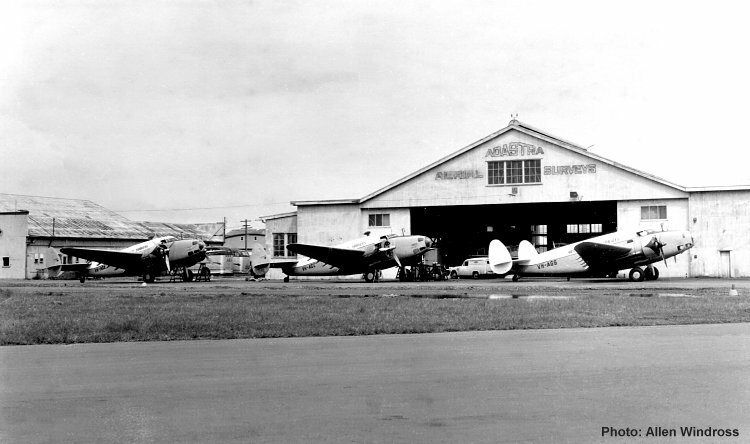 Hudsons VH-AGX, VH-AGO and VH-AGG outside Hangar 15 at Mascot c. 1955. This photo is very similar to image H3 in Album #1 with several subtle differences apart from the slightly different angle. In this view, the company panel van bearing the Adastra name and emblem is parked at the entrance to the hangar. In the other view, the stretcher hatch on VH-AGG is open.